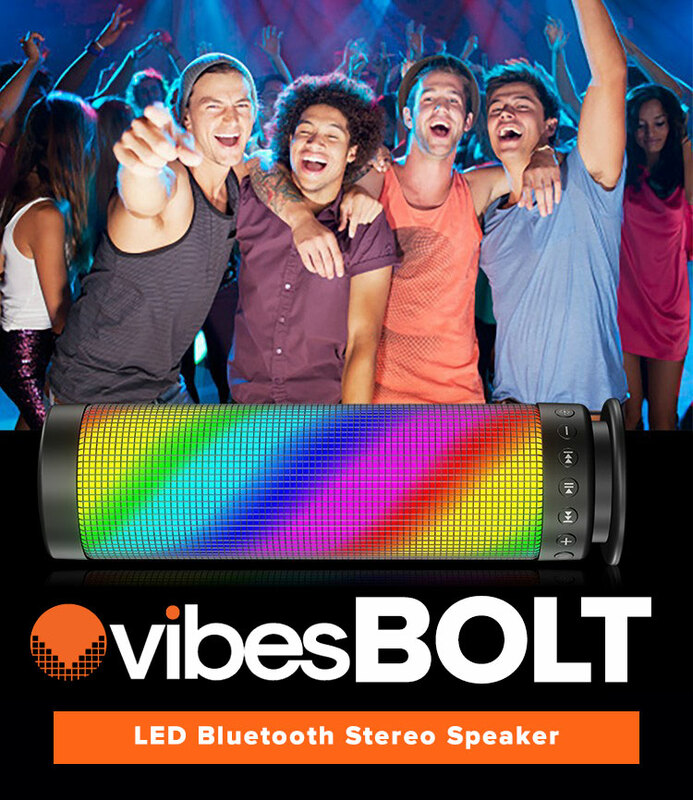 The VIBES BOLT is a Sensational Bluetooth speaker with iridescent rainbow LEDs that flicker in time to the music. Rechargeable and wireless, you can bring the party with you wherever you go!. 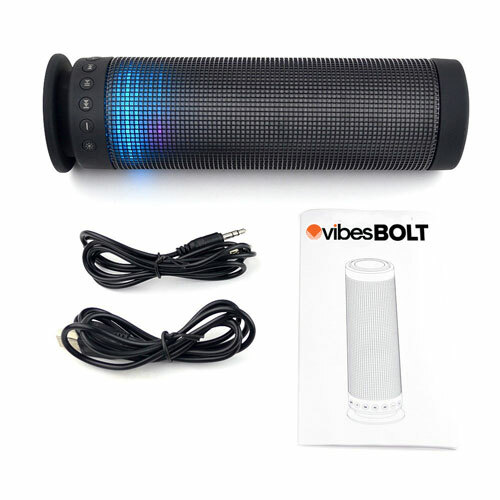 The VIBES BOLT is easily portable and offers high quality sound. At just over a pound, the BOLT is super portable without sacrificing sound. Excellent sound quality, you'll get deep bass and full tone for you to enjoy with others and yourself. Built with Bluetooth supporting wireless connection with all your Bluetooth devices, and it also has a MicroSD slot and 3.5mm audio jack (cable included) so you can listen to music even from wired devices. Use it with your computer, tablet, smartphone, or MP3 player. The BOLT features different lighting modes, from leisurely to lively, so you can find the right pairing for your tunes. All control buttons are placed easily at the base of the speaker for effortless operation. At just over a pound, this speaker is super portable without sacrificing sound quality. You'll get deep bass and full tone, with the large, cylindrical audio housing. Bluetooth wireless connection for your home or office network. Supports wireless Bluetooth connection, and also has a MicroSD slot and 3.5mm audio jack (cable included) so you can listen to music even from wired devices. Use it with your computer, tablet, smartphone, or MP3 player. 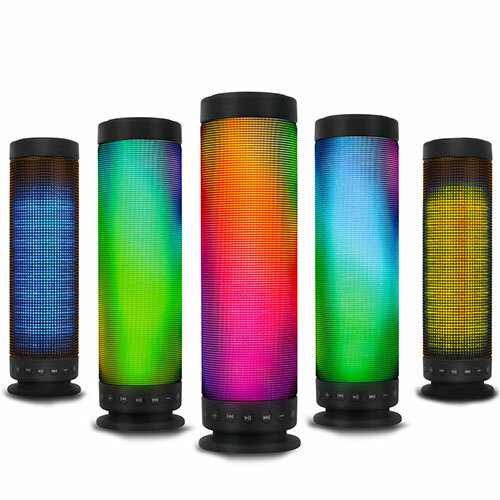 Experience the benefits of chromotherapy - enhance your environment, enhance your mood! 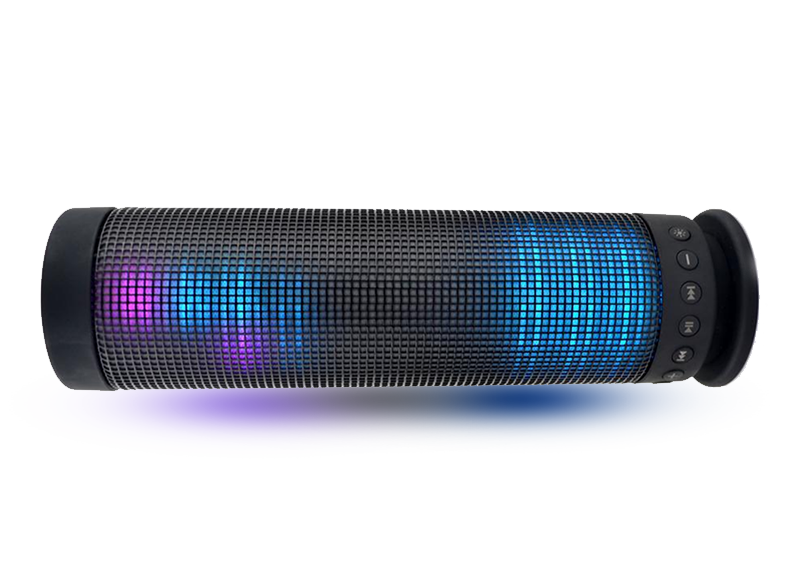 With The VIBES by BLU, BOLT’s high capacity battery you can play music for up to 4 hours, and the Bluetooth has a 10-meter range so you can move around the party without worrying about losing the connection.